Mix together the Greek yogurt, first half of the maple syrup, and vanilla. 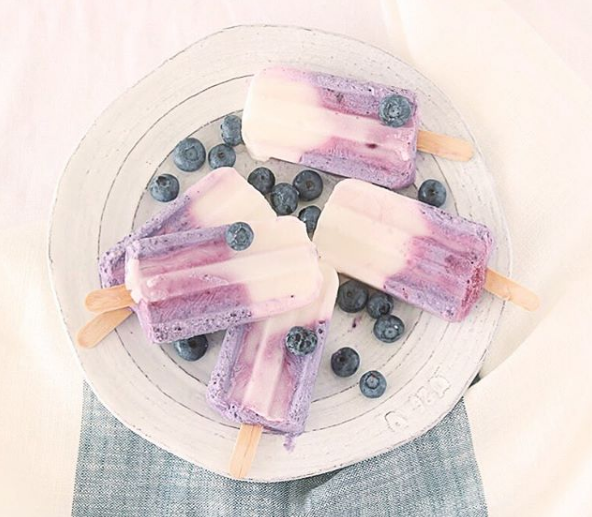 In a blender mix together the coconut milk, remaining maple syrup, and blueberries. Pour the mixture into reaming half of the Popsicle molds. Cover and insert the sticks. Freeze for at least 5 hours or over night.